Path & Compass | Path & Compass BLOG | How Are You Showing Up For Your Clients? Path & Compass, founded by Krista Chapman, help connect wedding and event business to more clients and intentionally grow their business. 29 Jan The Importance of Trust: How Are You Showing Up For Your Clients? The other day, I got a call from Comcast/Xfinity (or whatever they are calling themselves these days). Without realizing who it was, I answered the phone and found myself immediately in a sales pitch. While I’m sure the young woman on the other end truly wanted me to get most ‘value’ out of my services, I was pissed at the unwelcome interruption. I cut her off and ended the call. I did this because I don’t trust Comcast. I don’t trust their deals or their value upgrades. I don’t trust their pleasantries or validations. None. Of. It. Comcast is not calling to offer me anything. They are calling to take things from me, be it my money and likely my soul. I still use Comcast because of the limited alternatives (and similar horror stories) but your clients and customers have many alternatives. This is why trust is such a crucial factor in business and life. Too many people and companies are careless with this, assuming trust, once given will always remain. But trust is more complicated – it can disappear suddenly with a calamitous act or it can wear down over time with small acts of negligence and disappointment. The latter is the more likely and most dangerous because these are the customers that never tell you they are unhappy. They simply disappear without giving you an opportunity to make it right or re-earn their trust (because that’s not their responsibility – it was yours). Ultimately, we want to travel our path with the people who will show up for us. Trust is earned when others can depend on you to show up. Trust is maintained each time reconnect, reinforce and recommit to keep showing up. 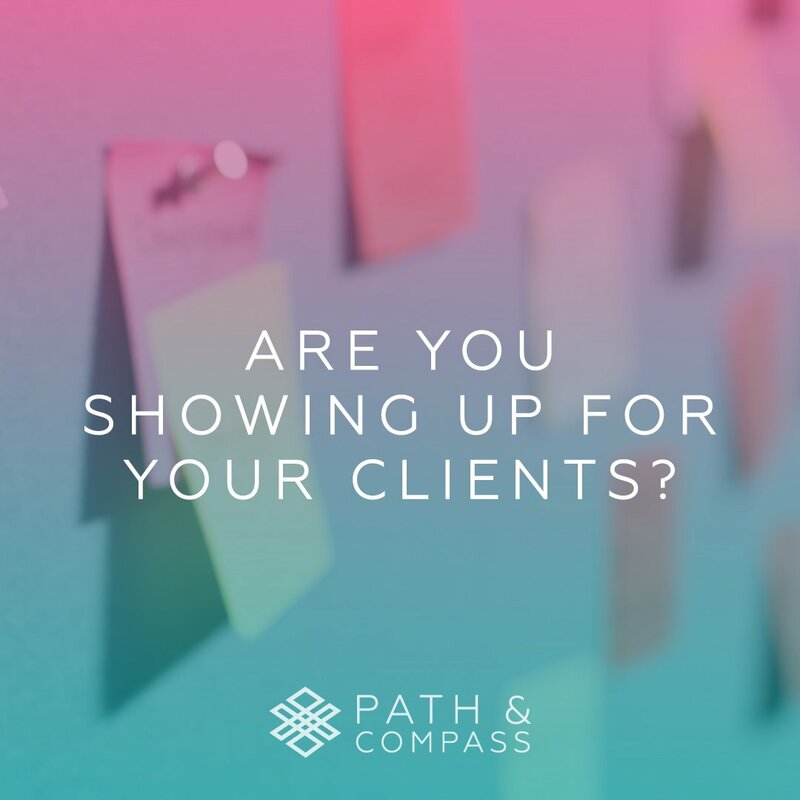 How are you showing up for your clients and customers?